Isaac Asimov (c. January 2, 1920 – April 6, 1992), was a Russian-born American author and professor of biochemistry, a successful writer, best known for his works of science fiction and for his popular science books, having written or edited more than 500 books and an estimated 9,000 letters and postcards. Asimov was also a critic of Velikovsky. :#”Velikovsky has been a psychiatrist, so that he has training in a scientific specialty of sorts and is not an utter exoheretic. What’s more, he has the faculty of sounding as though he knows what he is talking about when he invades the precincts of astronomy. He doesn’t make very many elementary mistakes, and he is able to use the language of science sufficiently well to impress a layman. :#”He is an interesting writer. It’s fun to read his books. I have read every book he has published and hope to read any he writes in the future. Although he doesn’t lure me into accepting his views, I can well see where those less knowledgeable in the fields Velikovsky deals with would succumb. 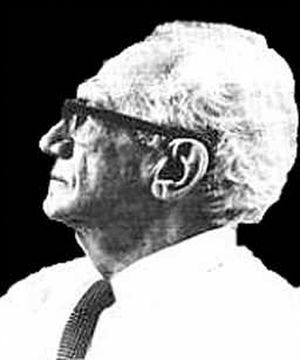 :#”Velikovsky’s views in Worlds in Collision are designed to demonstrate that the Bible has a great deal of literal truth in it, that the miraculous events described in the Old Testament really happened as described. To be sure, Velikovsky abandons the hypothesis that divine intervention caused the miracles and substitutes a far less satisfactory hypothesis involving planetary Ping-Pong, but that scarcely alters the fact that in our theistic society any claimed finding that tends to demonstrate the truth of the Bible is highly likely to meet with general favor. Charles Ginenthal, “Asimov in Absurdity”, and Irving Wolfe, “Pompous Asimov”, both in Stephen Jay Gould and Immanuel Velikovsky, 1996, Ivy Press Books.